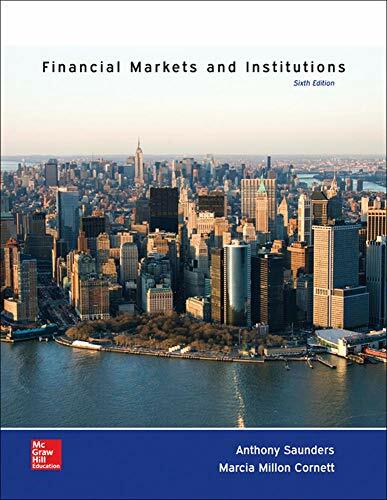 Financial Markets and Institutions, 6e offers a unique analysis of the risks faced by investors and savers interacting through financial institutions and financial markets, as well as strategies that can be adopted for controlling and managing risks. Special emphasis is put on new areas of operations in financial markets and institutions such as asset securitization, off-balance-sheet activities, and globalization of financial services. Then, resources within Connect help students solve financial problems and apply what they’ve learned. Saunders’ strong markets focus and superior pedagogy combine with a complete digital solution to help students achieve higher outcomes in the course. Anthony Saunders received his Ph.D. from the London School of Economics. He is John M. Schiff Professor of Finance and the former chair of the Department of Finance at the Stern School of Business at New York University. Dr. Saunders has taught both undergraduate and graduate level courses at New York University since 1978. Throughout his academic career, his teaching and research have specialized in financial institutions and international banking. He has served as a visiting professor all over the world, including INSEAD, the Stockholm School of Economics, and the University of Melbourne. He is currently on the Executive Committee of the Salomon Center for the Study of Financial Institutions, New York University. His research has been published in all the major money and banking and finance journals and in several books. 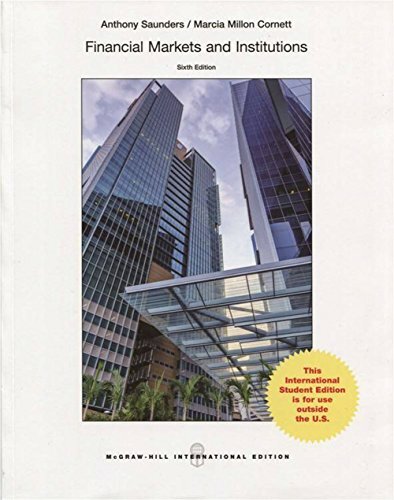 In addition, he has authored or co-authored several professional books, the most recent of which is Credit Risk Measurement: New Approaches to Value at Risk and Other Paradigms.